Your Excellency sir, I would have written this letter long time ago but I chose to ensure that I have reasonable facts to back my points. I know some bigots will see this letter as politically motivated but I am sure, my little fact will set their brain normal. It is my joy to write you this letter at this moment. First and foremost, let me appreciate your Excellency for the rescue works you are doing in Taraba state which even the blind could see, though some of those that willingly blind or deaf will say you are doing nothing. Looking into several aspects of your works, it clearly shows that you really have rescue agenda. Thank you, for your rescue works in health sector, infrastructure and educational sector. Thanks for upgrading Taraba educational sector to meet up the international standard and being able to compete globally. Thank you, your Excellency, for employing Rescue Teachers. When I came to this state to teach as a member of National Youth Service Corps precisely at Ngubin, Sardauna Local Government Area of Taraba state, I came to conclusion that Taraba state Needs teachers. In my moving round the whole land of Mambilla plateau, I could confirm the need for teachers in Taraba state taking Sardauna Local Government area as a case study. It was surprising to know that some schools had just three teachers. Some had five and so on. I was forced to say _“northern education is haram” with the number of teachers that Taraba had as at then. When I heard about RESCUE TEACHER scheme, I was overwhelmed; seeing a governor and government that really know what people need not what they want. Some government only give to people what they think people need. The case is completely different with the rescue teacher scheme. It means employing 3,000 people. It means giving 3,000 people a means of livelihood. It means 3,000 people are expecting something from government at the end of the month. It means 3,000 families rejoicing at the sound of bank alert. It means schools without teachers are now proud of teachers. It means students that are not motivated to go to school because there was no teacher to teach them will gladly go to school because rescue teachers are everywhere. It means the future of the state is being secured as student will be taught. It means government is paying its citizen. Even if the rescue teachers are smiling home with just #10,000; that will be #10,000×3,000 per month and the program has lasted a year. While some governors without any reasonable project are owing their worker despite many bailout funds, DDI is getting more workers and regular in the payment. It means there is a governor that cares for his people. It means educational sector of the state will take a new look. The Rt. Hon. Abel Peter Diah (workaholic) (Speaker; Taraba State house of assembly) said as I quote “with this Rescue teacher scheme, I can proudly say our children will perform better in their examinations. With the rescue teacher scheme, some people can now dress up in the morning saying “I am going to work”. With the rescue teacher scheme, some children can now say “daddy has gone to work”. With the rescue teacher scheme, some people are saying “let month end, I will pay up”. With the rescue teacher scheme, villages are now having teachers. With the rescue teacher scheme, students are performing better in exams just as the Rt. Hon. Speaker prophesied. In my opinion your Excellency sir, I really appreciate your idea of rescue teacher scheme. I am seeing this as pre degree programme where students have to prove themselves worthy of admission into schools to study to have degree. In my own view, rescue teacher scheme is a success as rescue teachers has done so well in proving that they will do well if they have the permanency. My little research shows me that the rescue teachers are up to the task. Your Excellency sir, I am of opinion that the rescue teachers should be permanent as teachers so they can continue the rescue work in teaching and educational sector even after you might have finished your second tenure by 2023./If you can actually do this, your Excellency will be the first governor to employ that number of teachers at a go. That will be a feet so high for anyone to attain. 3,000 teachers at once! Before the rescue teacher scheme, Taraba state is lacking teachers. If these ones are not absorbed into teaching service then Taraba state educational system goes back to the dying state. Presently now, with my little research, Taraba state needs more teacher. Taking GSS Gembu (The best school in Sardauna LGA) as example, there is a need for more teachers despite that the number of rescue teachers there outrun the permanent teaching staff. Your Excellency sir, it may be odd if the rescue teachers are asked to go away. These people that have passed through test of fire are good. The rescue teacher scheme has served as furnace test to those that benefited from it. Many of them have never held chalk to teach before but now they are in love with teaching job. Rescue teacher scheme has actually built them to have another look of interest in teaching job. I got to know that these people passed through lot of screenings and testing; now they are fit for the job. Taking GSS Gembu for example, _the principal; Alh. Salihu Njobdi will always sing the praises of his rescue teachers. He said as I quote him “My Rescue teachers are just the best, if any of them will be transferred (let’s assume) I will follow such”. Your Excellency sir, in my humble submission; permanency of these people seems like a good idea. Your Excellency sir, those people that cannot see ‘good’ in anything are out there saying rescue teacher scheme is a scam. They are saying you are just using it as political gimmicks to gain political points. They said that your plan is to use them attain your 2019 ambition and throw them away. In my little arguments, your Excellency sir, I said, “Ishaku is not wicked. He cannot think of such a wicked thing let alone do it”. I told them that he is so passionate; he will not take food away from his people. Also, he is passionate about the future of the state which is the educational sector. Your Excellency sir, I told them you are not working for the next election; you are working for the next generation. I told them you are RESCUING the state just because of posterity. Your Excellency sir, permanency of rescue teachers will prove to these morons playing opposition that you are far better than them. Your Excellency sir, our teachers are getting old. I am sure that every year someone gets retired from service. If your Excellency turn down the rescue teachers, that will mean that no means of replacing our teachers that are leaving the service. Students are already used to their teachers, rescue teachers inclusive, if these teachers will no longer be their teachers, the students will be psychologically disturbed. Your Excellency sir, I wish you favourably look into this letter for consideration. Your Excellency sir, I wish in your mercy; that this set of rescue teachers is absorbed into the system. 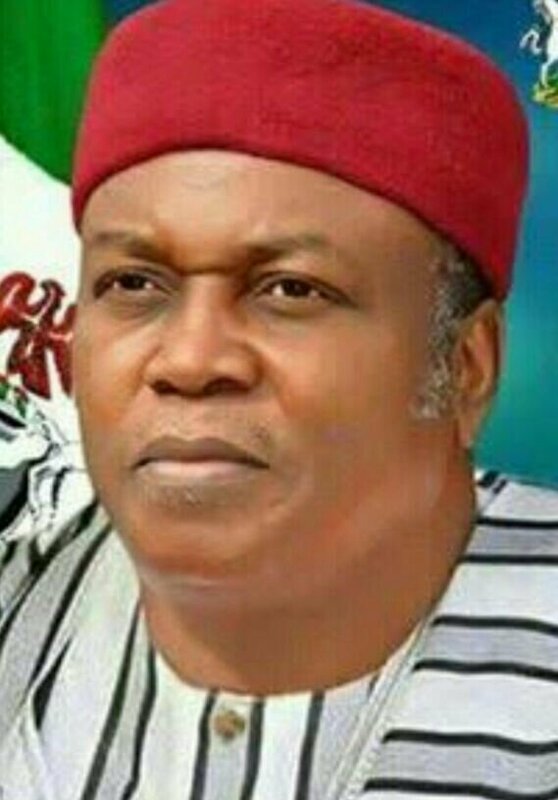 Finally, your Excellency sir, I wish you well in your journey to 2023 as the governor of Taraba State just to continue your rescue work in saving our dear Taraba State. Thank you for finding time out of your tight schedule to read this letter.